In our new English series, we publish a range of articles for Berlin visitors, tourists and newbies. 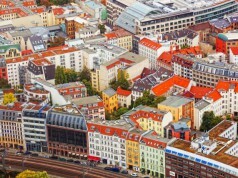 Are you new in town and want to know how to manoeuvre yourself through the streets of Berlin? Don’t be intimidated. 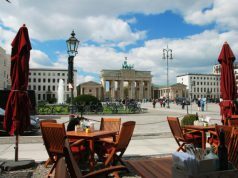 Although Berlin is a large city (891.8 km squared), the people are friendly, and the area has exceptional train, tram, bus and underground services for you to use to get where you need to go. If you are a tourist, perhaps the best way to get around and to discover things to do in Berlin is by bike. Berlin is a great biking city – there are no steep hills and a number of bicycle paths for you to utilize all throughout the area. There are 60km of bike lanes on the city streets, 50 km of bike lanes on walking paths, 70km of bike and bus lanes, and 100km of paths for both pedestrians and bicycles. If you are a bit inexperienced at biking, be forewarned – there is almost always bicycle traffic due to their popularity in Berlin. If you’re a traveler, viewing the tourist sites of Berlin and the smaller side streets is easy and fun via bicycle. Berlin is very beginner friendly. Though it is a good idea to bring your own map, you can always check on your location at a U-Bahn station and various bus stops. Tip: If you are visiting Berlin and you want to travel by bicycle, you can craft your own bike maps online, choosing the least busy routes, your favourite surface to drive on, or choose a route with the least amount of traffic lights. Bicycle rentals are abundant in Berlin. You can rent one out from a shop or online for a very inexpensive price tag. The S-Bahn is one of the quickest ways to get around the area. The S-Bahn lines S5, S7 and S75 run east and west in between Osktreuz and Westkreuz. Other lines run along a circle around the city, and there is a track running north to south via connection S1, S2, S25 from Gesundbrunnen through FriedrichstraBe to Schöneberg or Südkreuz. The Berlin U-Bahn is an amazing way to get where you need to go. If you are not sure where you are going, don’t fret: all of the U-Bahn stations have electronic signs that will show you the time of the next train to catch and its direction. If you need to find your bearings, there are detailed maps in every U-Bahn station, and on the trains themselves. If you want a way to get around that is speedy and efficient, you will want to check out the U-Bahn. Getting around via taxi is easy and affordable. You can hail a cab or find a taxi rank – the choice is yours. Most taxi drivers are able to speak English, and if you ask for a short trip, under two km in distance, the trip is normally only €4. Please note that to get this deal you must flag a taxi down, not get one in a taxi rank. At Tegel airport, make sure you avoid taxi scams. Mostly located in East Berlin, the trams are fun and easy to take. If you don’t have a tram ticket when you board, you are able to buy one inside. There are two kinds of tram services to choose from. Metrotrams stop by more often and are available at night. Tram routes that are not tend to make more frequent stops and they may even include scenic single-track rides through naturally beautiful areas like the forest far east of the Mitte district, a nice choice for travelers. Buses are considered the slowest type of public transport in Berlin, but these yellow double-decker buses will take you almost anywhere throughout the city. There are normal buses, and express buses. The express buses will be marked by an X, they do not stop at every bus stop. Travelers will want to check out bus route 100 or 200, which departs at Zoo Station or Alexanderplatz. 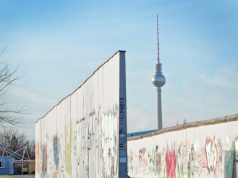 This will take you through most of historic Berlin. If you find yourself lost, or cannot find your way home at night, dial +49 30 19449, BVG’s customer service. The Beliner Vekehrsbetriebe (The BVG, German for Berlin Transport Company) is the main public transit company of Berlin. It oversees the U-Bahn, trams, buses and ferries. (Not the S-Bahn). 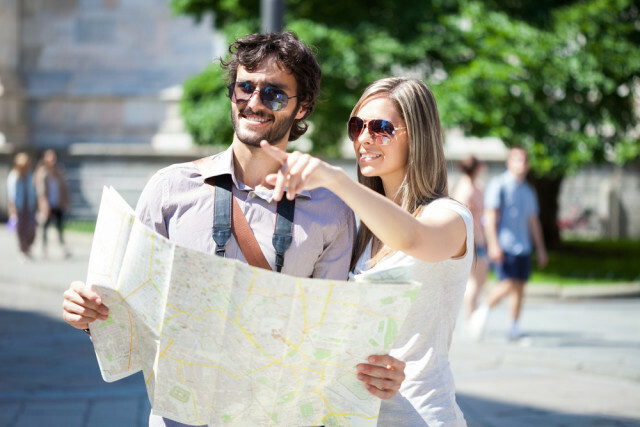 If you are asking someone for directions, bear in mind that Germans typically add the word for “park,” “square” or “street” when they mention the name of an area. So, if you do not add the word “street,” you might get directions to a different road at a different place, for example.